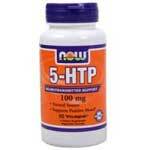 There are many 5 HTP benefits and side effects, and anyone who takes this dietary supplement should understand these. This is a tryptophan supplement and 5 HTP is an amino acid occurs naturally in the body. This amino acid is needed for the body to manufacture serotonin, and the benefits include better sleep, an improved mood and a lower pain perception. The numerous 5 HTP benefits make this supplement a common choice for depression, fibromyalgia, and even weight loss. Insomnia, anxiety, and headaches are other conditions that may benefit when this supplement is taken. Some medical professionals advise against this supplement though. There are a number of tryptophan side effects, some of which are mild but not dangerous and others that can be serious or even life threatening. For some the side effects of this supplement make it unsafe, and the 5 HTP benefits may not be worth the risks involved. Side effects can include vomiting, digestive upset, respiratory difficulty, an increased heart rate, increased blood pressure, and possibly a coma or death in some circumstances. 5-hydroxytryptophan should not be used by anyone taking medication for depression, pregnant or nursing women or individuals with certain other medical conditions. Anyone with clotting disorders, heart disease, impaired kidney or liver function or peptic ulcers should avoid this dietary supplement completely. For many people the 5 HTP benefits outweigh the possible risks and side effects but a physician should be consulted before this supplement is started. Instead of a dietary supplement, many people choose to find foods with tryptophan instead. A lack of historical data on the use of this supplement causes many physicians to urge caution, and to advise that this supplement is avoided. Other physicians believe that this supplement is safe when used as directed for most people, but that 5 HTP should not be used together with certain medications or medical conditions.